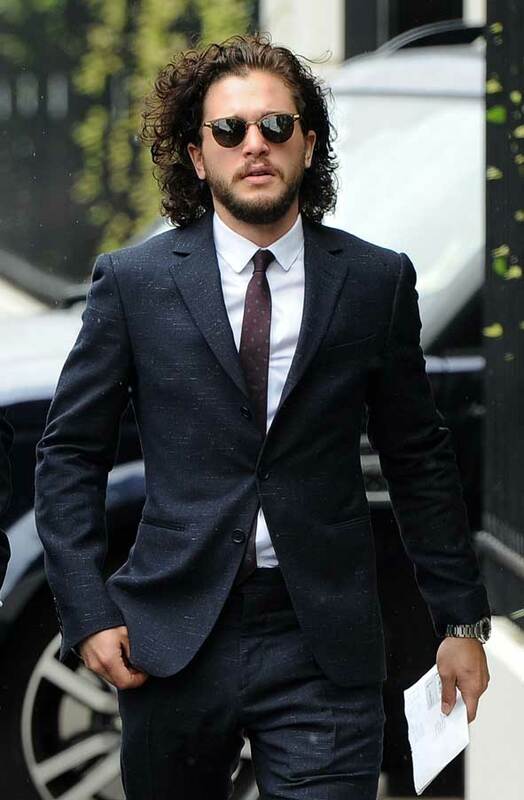 Kit Harington looked stylish in the rain as he was pictured out and about in London, England wearing a smart suit and cool sunglasses. 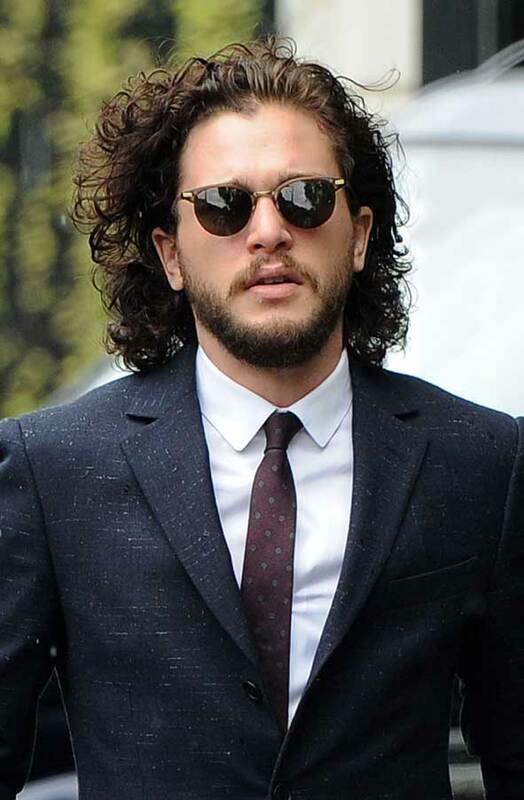 The Game of Thrones actor wore a dark blue suit with faded white lines and a faded wine-colored tie with grey polka dots. 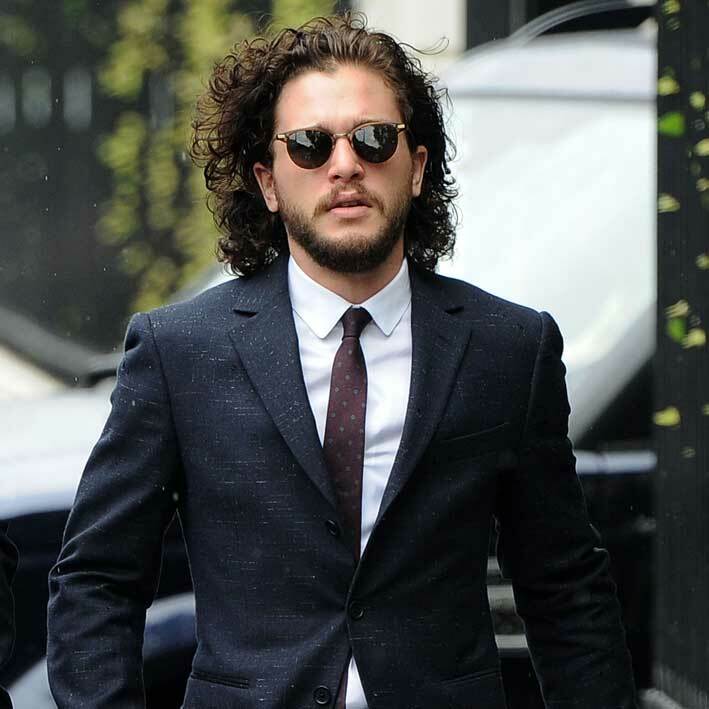 He matched the outfit with a white shirt and wayfarer sunglasses despite the rain coming down and sported his trademark beard and long hair. 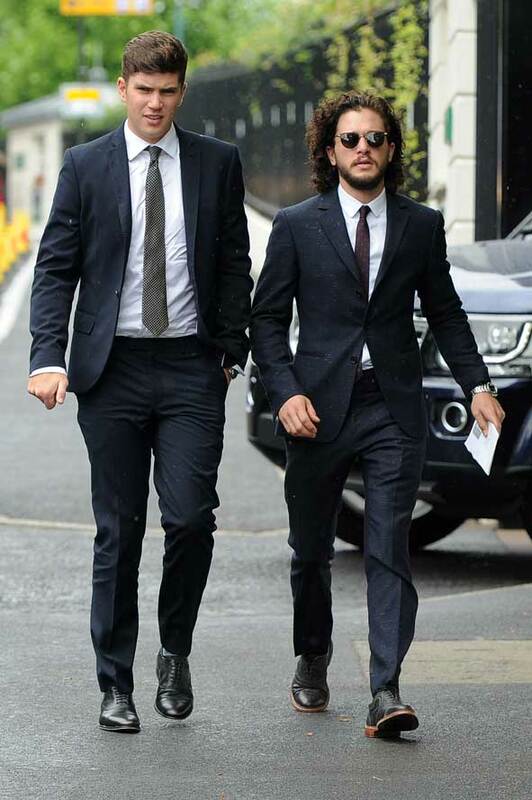 In fact, it is quite rare to see Kit Harington out and about in public and he isn’t on social media to catch up with any news about him. In an interview with Rolling Stone he said “I don’t do Twitter because I don’t want to talk about myself more than I already have to”. 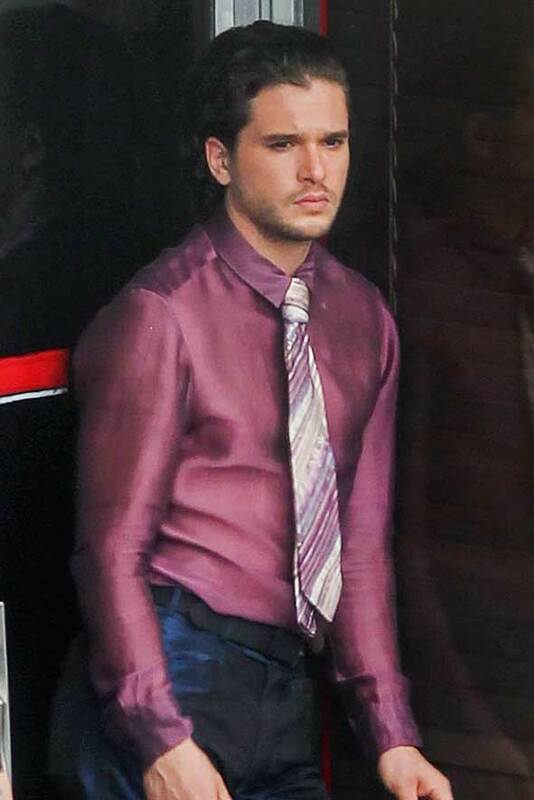 The full Rolling Stone article can be read here where he also talks about not wanting any more roles with horses or swords! 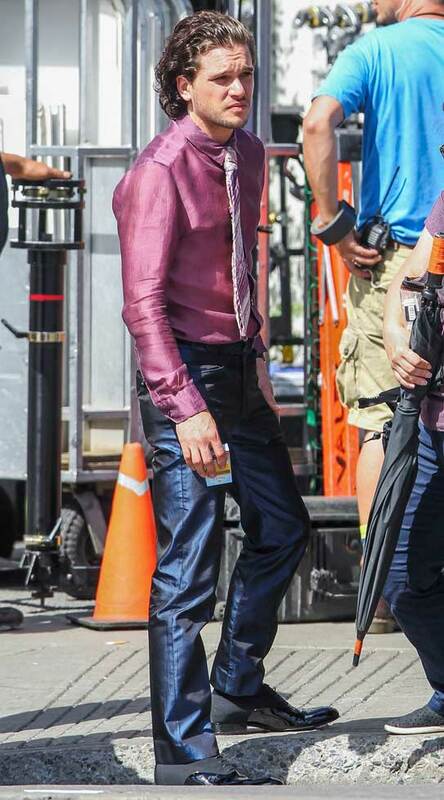 He was recently pictured on set of his new film wearing a shiny purple silk purple shirt and blue trousers on set of The Death and Life of John F. Donovan in Montreal.